In 2001, the company that grew the quickest grew by 100%, what was the growth rate of the company that had the least growth rate? In 2002, the growth rate of the overall sector was 39%, what was the growth rate seen by SCT? Total revenue in 2006 was $21.2 bn, total revenue in 2005 was $18.1 bn. What was the growth rate seen in Centure? 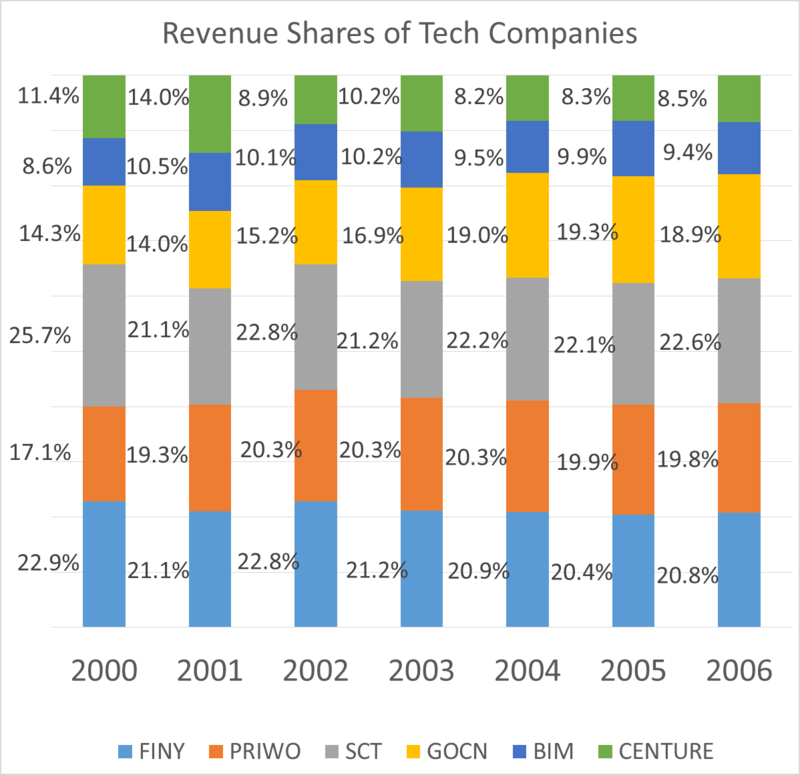 In 2004, the entire industry added $4bn, of which an increase of $1bn was contributed by COGN, what was the growth rate seen by the entire sector in 2004?